I grew up with Will Ferrell on Saturday Night Live. In those ancient times, post-AOL but pre-Google, call it the Ask Jeeves years, Will Ferrell was pretty hilarious. He yelled and chewed the scenery, something like an absurdist Adam Sandler. And when Anchorman came out, I was still a dewy youth of 17, and consequently thought it was hilarious, too. For Stepbrothers I was in college, and saw it twice, as so many young people in my lost generation did. Oh, and Elf is good, too. 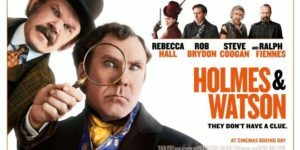 So I feel a little protective of Will Ferrell and of his legacy, which is why it pains me so much to say that Homes and Watson is one of the worst comedies ever made. It may even be one of the worst movies ever made by a major Hollywood studio for consumption by an innocent public. Maybe, in the future, it will be seen as some point of watershed moment in the history of entertainment. Hopefully, it will come to be regarded as a precipice of total mediocrity that we never allow ourselves to be cast ourselves off of again. 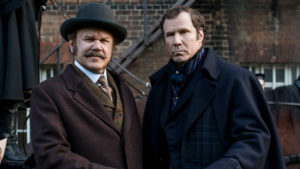 Holmes and Watson stars John C. Reilly opposite poor Will. I say poor Will because John C. Reilly has stored up enough collective critical goodwill that he will probably survive the ignominy of having helped create this abhorrence. 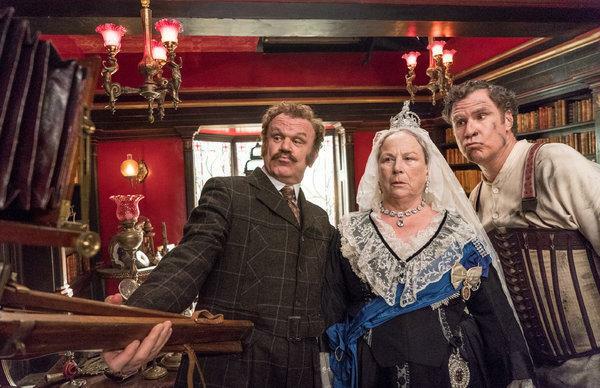 As Watson to Ferrell’s Holmes, Reilly is mired in the thankless task of being the straight(er) man, supporting Ferrell as he seems to try, not very hard mind you, to find a comic voice for his Holmes that develops beyond shrieking and bloviating in the broadest possible English accent. Talented actors appear, and you feel a little sad for them: Rebecca Hall, Ralph Fiennes, Kelly McDonald, Steve Coogan and Hugh Laurie are all above the material, actors who must be doing the movie because at some point they sold their soul to the devil and now he’s come to collect. Rebecca Hall plays a female forensic pathologist, promoting hoots of incredulity from Holmes and Watson, a setup for a joke that never comes. Fiennes plays Moriarty, and even though he’s hamming it up, he’s still the best thing in the movie by a country mile. What else can I say? Don’t watch it. It’s not a mystery. It’s not funny. It’s at least a little embarrassing for its entire length. The production was filmed in locations considerably closer to Burbank than London. There is maybe one funny minute in the whole movie, if you scraped it clean. But please come and rent it from Movie Lovers, on Blu-Ray if possible!